Most people had anticipated this move, but Facebook founder, Mark Zuckerberg, has made it official, his company is going to move into the search market at some point, although he would not be drawn on precisely when this leap would be made. Zuckerberg was interviewed by TechCrunch when he made a number of statements relating to the search intentions of Facebook, pointing out that the site is already handling around a billion queries every 24 hours, as its users search for friends, groups and other services linked into the site. Of course at the moment you cannot search the entire internet with Facebook, although it certainly has the resources to make this a possibility at some point in the future. If this ever does happen, SEO experts will have a whole new set of rules to learn. Zuckerberg spoke about search as concerning the process of answering questions posed by the user, which he believes is something that Facebook has a unique window into, given its privileged position as a gate keeper of huge amounts of personal user information. There had been rumours of Facebook's search engine intentions, with its current engineering director stating, two months ago, that he is developing something exciting and specific for his employer. Because of his background at Google, many speculated that it might be search related, although no confirmation was given. At the moment, Facebook and Google may not be competing over search, but they are already locked in battle in the social sphere as a result of Google+. The search giant is insistent that its own social service is Google+ not aimed at competing with Facebook, but whether or not it likes it, this certainly seems to be the current state of affairs. It is worth pointing out that at the moment, it is possible to search the web from within Facebook, but that in this case, the results that are generated come from Microsoft's Bing, rather than any proprietary service, or indeed from market leader, Google. Whether or not Facebook's relationship with Bing will extend to a deeper integration of search or not remains to be seen, although the ambition of Zuckerberg and his team, coupled with the spending power of his company, means that going at it alone is not completely out of the question. Part of the problem for Google is that if Facebook makes web searches more closely integrated with its business, then it could easily end up losing market share to Zuckerberg's service. This is linked to the fact that people now access the internet from their mobile phones more than ever before, with many people using social networking sites and apps, to find links and perform searches, rather than harnessing a dedicated search engine site like Google. Whether or not this will result in the gradual decline of Google, or the emergence of some meta-social system, in which people funnel all of their queries through Facebook, remains to be seen. But those involved in optimisation will be watching carefully to see where the industry heads. About The Author: Abbas Hussain is a blogger who talks about SEO and Social Media for Integrity SEO Experts. Did you like this article? Please let me know by leaving your valued comments below. Until my next post, have an enjoyable weekend! Part of being a blogger is getting relevant traffic to your blog. This is probably your biggest task and your biggest wish. This is also where most bloggers have trouble. Here are a few ways you can get traffic to your blog. 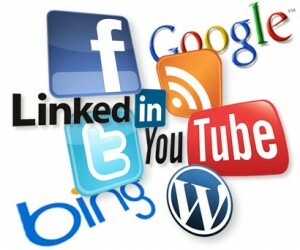 I am sure that I do not need to tell you that you can get a lot of traffic from social media. Most bloggers dream of the day when something they write goes viral. But most people also have no idea that they can do something to increase the amount of traffic they can receive from these social media sites. The best way to increase your social media presence is with the use of SMM tools. Some of the best social media monitoring tools are capable of growing your audience by quite a bit by making you a lot more efficient. You will not only have a lot more data to work with but will also be able to save time so that you can work on other blog related things. I am sure that you know that you can get traffic via blog comments but most bloggers do not know how to do this right. If you are trying to get people to click through from your blog comment and find out more about you, you should generally follow a few rules of thumb. Sooner the better: Comment as soon as the post has been published, if possible be the first one to comment. The father down your comment is, the fewer clicks you will get. Most people tend to not read after the first few comments. Be of appropriate length: It is generally a good idea to make the comment more than the length of a tweet, but be sure not to make to longer than 300 words, because by then you go from leaving a comment to leaving an essay. Besides, no one is even going to read it if it is an essay so don't put that much effort into it. Contribute to the conversation: Pretty much what it says. Contribute something. Even if you write a paragraph, if it is just rewording what someone else has already said, people can tell. So say something original that is of some value. This works a lot like blog comments. The only difference is that you have to be consistent. If you are just answering once in a while, you will not be able to send any traffic to your site. Most forums and communities generally have some sort of ranking system that shows everyone else how much you participate. Generally speaking, the higher this is, the more reliable you come off as to most people. By participating often, you can increase this number and when you do answer someone's question people tend to think of you as an authority in that niche and will be tempted to check out your website. Did you find this article helpful? Please let me know by leaving your valued comments below. With social media becoming such a staple of daily life over the last few years, it is no wonder that businesses all over the world have begun to integrate social media into their marketing strategies. However, social media accounts for a very small portion of overall sales for many businesses. Why then, should companies devote time and effort to social media, if it does not engage sales in the way that traditional marketing tactics do? When thinking about a social media strategy for your business, it is important to think about what the purpose of social media truly is. To do this, begin thinking about what you use your social media account for (if you have one). Chances are, you utilize social media in order to stay connected to the things and people in your life that you care about. You engage in conversations, share interesting content from around the web, and seek to nurture relationships between yourself and those you care about. Interestingly enough, that is exactly how your customers utilize social media as well. Therefore, it is not really a place where people go to buy products or services, and as such, many people are turned off my companies that constantly try to drive sales through social media. Instead of constantly marketing products and services, companies should instead use social media as a way to foster connections with and engage customers. Tactics to engage customers can include posting open-ended posts asking customers for their opinions and encouraging open discussion in comments. Also, regularly sharing interesting articles or other content that pertain to your business or industry gives customers a reason to seek out your company's profile on a social media network, rather than simply coming across a post every so often on the customer's home page. It will also increase social sharing such as retweets on Twitter, likes and shares on Facebook and +1's on Google+ that can help to boost your site's SEO. By boosting your SEO, your sales will be boosted through search engines, which at the end of the day account for much more sales than social media. Finally, and perhaps most important of all, having a social media presence that seeks to engage customers rather than sell to them helps build trust in your brand, which is the ultimate sales motivator. When a customer trusts your company, they become a customer for life, and may ultimately subscribe to an e-mail list, rewards program, etc. They will also be more likely to recommend your business to others, both of which can help your company exponentially in the long run. At the end of the day, social media marketing accounts for just a small part of your overall marketing plan. However, your business would be at a huge disadvantage if you did not take the opportunity of creating a social media presence. This is because so many people are committed to social media, and access it every single day. Although you may not be able to drive sales with social media, you can build relationships with your customers, as well as reach new customers. When you engage with these people, you build trust in your business, which will increase sales in the future. About The Author: Hannah Marr is the Content Director for BizBrag, a small business marketing platform. BizBrag helps small businesses, enterprises, and franchises to push their content to a larger customer base through social media and search engines. 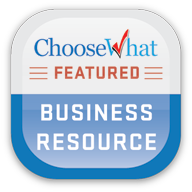 Hannah develops content for these businesses and would love to help your small business, enterprise, or franchise to reach a wider audience through BizBrag technology. Did you find this article helpful? Please let Hannah and myself know by leaving us your valued comments below. It's a task every web owner has to consider if they want their site to have any chance of ranking competitively. Link building and content optimisation isn't enough on it's own. There is more focus on content creation than ever before, especially after the ongoing Panda and Penguin updates. But where do we start? Even if you're in the most exciting industry, there will be days when you're stumped as to what to write about. So let's look at the different ways we can create content for your site. We've all done it. Google is the first port of call when doing your research and this is no exception when creating content. Trawling through the lists of results can be tedious, so why not make Google work for you? We could use the search filter on the left of the results to define what kind of sites we want to look at, whether it's the news, blogs or videos, but we could take this further. Creating a news alert will mean you don't need to keep going through the search process and you'll get the latest content right to your inbox. This gives you the top results from the news, blogs and web. It's usually a good idea to keep the subject broad so you don't filter too many articles out. I avoid using modifiers such as inurl: or intitle: for this because I don't want anything to fly under the radar. Set the frequency of updates to weekly and you will receive a latest gossip about what's going on in your industry. This is a good starting point for researching your content. Some real Internet gems won't get the attention of Google news, so it's up to you to find them yourself, but it's easy if you know where to look. Sumbleupon is a good place to find interesting sites, but won't show you content hot off the press. If there is one place that finds brilliant content on the web before it has even trended it's Reddit. There is a subreddit for just about anything with people submitting content relating to your interests. Drop every week or so and find out what's new before it's even new. This is perhaps an easier strategy for people who have established themselves on Twitter. With the recent acquisition of Followerwonk by SEOMoz, we can expect nifty things from this tool in the future. 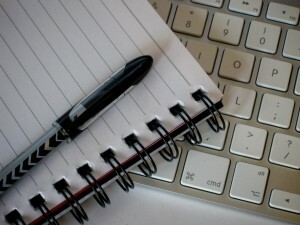 For now it's a great way to not only find potential followers, but also related blog content. I always used to do this manually by trawling through my followers list and clicking on their url links. Now FollowerWonk allows me to do this at a glance. Checking into twitter for the latest gossip in your industry should be a daily occurrence, but it's important that the profiles you follow are people who are writing the latest news, otherwise you will be sifting through what the average joe bought at the supermarket. Sourcing content for ideas isn't a strategy in itself. This is only the start. You need to get enough ideas to set out your plan for the next month at least. Remember to include your keyword research and a bit of internal link building...after all this is why we're creating content in the first place! We'll be looking at content submission best practice in the next few weeks, covering optimization, analytics and link baiting, so watch this space! Did you find this article helpful? Please let Richard and myself know by leaving us your valued comments below. One of the biggest deterrent factors over the pace at which your SEO campaign can move ahead, is how fast the changes carried out over your website are indexed. This is usually true while working with websites which are seen with some established rankings and to which you may want to carry out some small changes at times. If your website is not getting crawled once at several weeks' time, it can really hamper the process. Fortunately, you can carry out several things to boost your site crawl rate and in return, reap positive effects of the crawl along with good rankings. 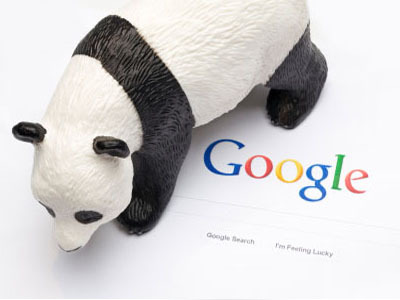 Google crawl rate is all about frequency with which the Google robot visits your site or blog. 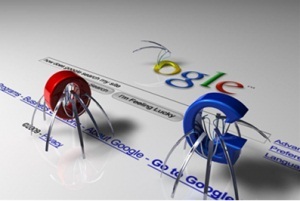 The following are some of the tips to increase your blog's crawl rate in Google. The search engine crawlers simply love the blogs which carry updated blogs. This renders the search engine crawlers something new and fresh over your blog every time the bots enter your blog in the crawling process. In order to boost the crawl speed, you are supposed to update your blog on a daily basis. You can even think of adding some RSS Feed widget, Facebook widget, Twitter comment widget, and Google group widget. This will help you in increasing the crawl speed. 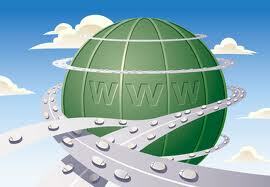 Links play a good role in increasing the rankings along with boosting your Pagerank of your site or blog. Most of the search engine crawl patterns are directed by Pagerank with high amount of PR pages usually when it crawls on a regular basis. However, at the same time you need to do a couple of other things rather than merely building up links to increase your PR. The crawlers simply work on a budget. If they consume too much of their time crawling inside big size images or your Java scripts, they will not have sufficient time to visit other pages on your website. Hence it is recommended to avoid having big size scripts or images over your blogs which consumes more time to load. Put some small size images which can load instantly so that more amounts of web pages would be crawled in less time duration. If you still encounter difficult time getting the search engine crawlers to find a couple of your web pages in smaller duration, you can certainly think of assisting the Google bots by adding up a sitemap in your blog or at the webmaster tools. Sitemap plays a key role in increasing the crawling speed of the search engine crawlers in your different blog posts. All the major search engines simply love to hate plagiarism. They can penalize your blogs or website by banning your blog or site and even can bring down your search engine ranking. As per the new Google Algorithm updates, duplicate content over blogs and sites are considered as the most fatal errors in search results. If you have any duplicate content over your blog, it is always recommended to get rid of these and replace with some original and unique content. By implementing these tips, you could easily help in increasing your blog's crawl rate in Google. These changes would therefore help the crawlers to visit regularly and thus make your blog a favorite place by all the major search engines. About The Author: Margaret Jules is an internet marketer and blogger. She loves travelling, meeting new people and writing. In order to reach your destination without wandering around and wasting your valuable time and money, it is always sensible to carry a road-map. Similarly, if you do not plan your business in the beginning stages, you can lose plenty of priceless time. 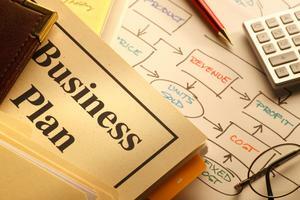 So, a well documented business plan is going to be a road map towards sustained success in the long run. Several entrepreneurs simply jump into a business without conducting any research or without a concrete plan. Very soon, they find themselves without finance, and with no back-up plan to market their business. Use catalogs, articles, and direct discussions with business owners and possible customers for research on your niche area. Study your forte marketplace, about other contenders, and operational costs. Note down these details carefully. Also mention the sources of your information, because you will be referring to your research while creating a concrete business plan. To start with, try and adopt industry standards for best performance. By doing this, you'll be working on the plans that have been successfully utilized by other businesses. After you gain experience in the later stages, you can personalize the strategies to carve a unique reputation, which would differentiate your business from your competitors. This will give your organization an exclusive recognition, which will help your business grow. Bookkeeping is very important for the success of any business. You will need to create a daily activity report which will have information on all the everyday expenditures, be it big or small. You will also need to create a forecast report on the operational costs for one-year, five-year, as well as long-term forecasts. Then draft income estimations for the same period. Your estimations must be prepared on the basis of your research and historical data. Your predictions must be totally sensible or realistic from the very beginning. If you conduct a meticulous market research, then sketching a draft will be easy. It will flow naturally from your researched data. Your business plan document must be broken down or categorized into various sections like Executive summary, Industry analysis, Company analysis, Competitor's analysis, Customers' analysis, Operational plan, Marketing plan, Financial plan, Management team, and Appendix. Revise the draft for logic and totality. Remove the repetitions as business plan must be short and concise. Check for grammatical, formatting and punctuation mistakes. You can also hire someone skilled to look into your business plan, because the exhaustion caused while creating this plan can make you overlook conspicuous defects. Even if your business is blooming, don't overlook the market analysis and competitive analysis. You have to open doors for more details and your business plan will be more attractive to shareholders. Creates concentration and a feeling of purpose and ownership. Clearly establishes working challenges, obstacles and commitment. 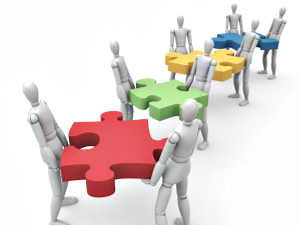 Defines precise operating and team development proposals necessary for development. 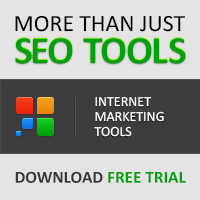 Targets your marketing strategies in the competitive market. Creates strong bonding with shareholders. Focuses on the significance of serving internal and external clients. It crafts a meaning for a durable success. The first thing before starting any business is to draft a well documented business plan, which covers both the short term and long-term goals. Visit here for more write-ups by Flamingo. To promote your website successfully, it is better to use manual and quality SEO processes considering the guidelines of search engine algorithms. Getting high page ranking and increasing the network traffic to your site should be your ideal goal when promoting your website to the global market. There are many techniques for building links to your website, some white hat methods and black hat methods as well. If you want high page ranking that does not waver, you need to use white hat strategies to build links. You have to realize that proper link building takes time. Do not be fooled by the appeal of getting massive backlinks at once, this only makes Google and other search engines suspicious about the quality of your site. Though buying links from any of the huge network traffic sites is a good idea for increasing your website value, you should choose a site that doesn't have numerous unrelated outbound links. If you must buy outbound links from other sites, choose sites with content related to yours and make sure this site does not have too many outbound links. You don't want your site link lost in the maize. Webmasters should try to avoid this link building technique if they wish to build valid backlinks that stick. As an alternative, you can offer to write a guest post on a popular site in your niche in exchange for a permanent link back to yours. Submitting articles to topmost article directories will help your website gain some quality link juice. These sites have already established Google page rank and you will benefit from linking to them permanently. Some webmasters after submitting original articles to top ranking directories will reuse the same by spinning the content for mass distribution. Article spinning saves time and mass submission gets you noticed fast. But this might seem harmless at first until when Google decides to go through another update or check backlinks manually; your site will definitely come up and be penalized. Beware of spinning and submission services because most times the quality of the content put out there is horrifying. Building backlinks by commenting on related or high value blogs is an excellent link building method. It is also a good traffic getting strategy. 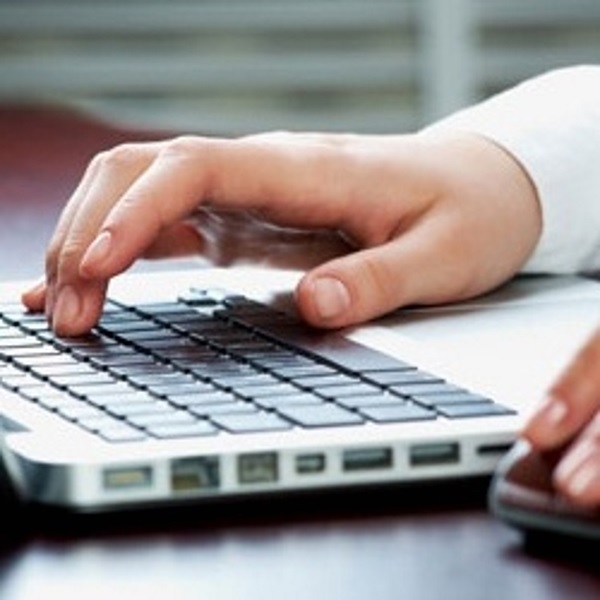 There are some tools that can blast comments on over ten thousand blogs in a very short time. This is very unnatural as no webmaster is capable of writing that many blog comments at once. Be very careful with this black hat technique as the consequences are usually negative. Be sure not to use this method if you are running Google Adsense ads on your site because this may result in your account being suspended. A common mistake made by most webmasters is choosing a high competitive keyword for their website and promoting that keyword by undergoing various SEO techniques. Making this mistake early on can be damaging to your success. You should link with long tail keywords and to posts on your site that have a chance of getting ranked faster. Another problem is linking with the wrong anchor text. Remember not to link to the same phrase all the time, you want some diversity in your backlinks. This is when the keyword your article topic is based on is overused in the article. You must learn to balance your keywords with the number of words for each article on your site. Aim for a 2% or less keyword density and sometimes it is best to just write a well informed post without concerning yourself with keywords because this will make your site more user friendly. As a webmaster, you must aim for quality and not quantity. Avoid SEO techniques that will get you in trouble and run your business with integrity. About The Author: Rahul Makhija is the online manager for ChemFree. Rahul consults companies on online marketing, product development, and strategy. During his free time he enjoys reading about human behavior. Did you find this article helpful? Please let Rahul and myself know by leaving us your valued comments below.